Uncharted: Drake’s Fortune – Which was excellent. Uncharted 2: Among Thieves – Which was even better. Call of Duty Black Ops – A massive disappointment due to boring set pieces and a ho-hum story line. 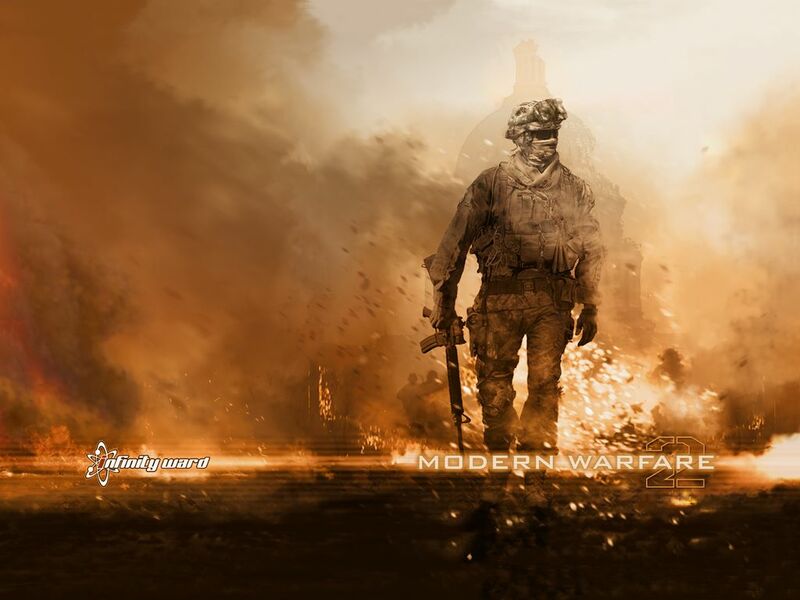 Call of Duty Modern Warfare 2 – One of the greatest games I’ve ever played. A roller-coaster screaming to be ridden at least once. I wrote a few words about the game’s “No Russian” mission you can read here. Enslaved – Repetitive level design bored me. Mario Galaxy 2 – Still working through it. Final Fantasy 13 – Gave up on it due to a hard to follow story line. Dragon Age Origins – Nothing fresh to see here. Tiny Tower – You can a few words about it here. L.A. Noire – I have a love/ hate relationship with L.A. Noire. The game is amazing in what it does but becomes highly repetitive over time. I came within 4 cases of finishing this game. 4 cases! I will no doubt pick this up again when I have the time and drive to plow through to the end. 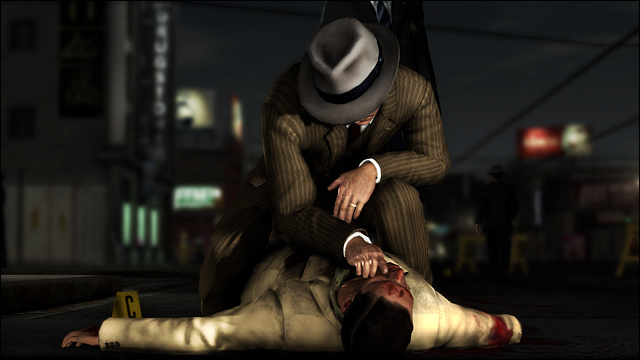 I did learn a few lessons from L.A. Noire which you can read about here. Batman: Arkham Asylum – I’m truthfully not sure what I think about this game. It did make me question what I play in front of my 2 year old, which you can read about here. inFamous – Cool game with a great concept. Somehow not compelling enough for me to finish. I‘m sure there were more games that I played but I can’t think of them right now. What did gaming in 2011 look like for you? The deeper I have delved into the darkside of Los Angeles, the more unfocused things have become. All African Americans want to be like Shaft. Now I know that this game takes place in 1947, which is nowhere near 1971’s Shaft, but just hear me out. 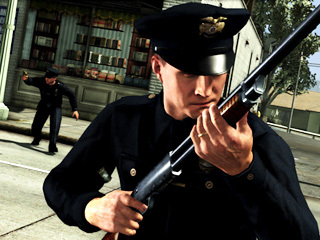 The African Americans in L.A. Noire are cool kats who enjoy stringing the f-word together in unique and creative ways. They be hustlers yo! My police captain, who is Irish, is a foul-mouthed man who enjoys marrying religious imagery with the f-word. He also seems to have a penchant for drinking. Who would have thought? Driving at high speeds and narrowly missing other cars is not a way to lose your license. If anything, as long as you don’t scratch the paint, you’re a war hero. Perpetrators are going to run. You are going to have to chase after them. End of story. If you visit a location once chances are you are going to visit that same location again. The second time you visit though things will fall apart and general chaos will ensue. Trust me. Rain makes everything moodier and noir-ish. Just when you think you are rid of one foul-mouthed partner, another one comes along. Kind of like real life. The City of Los Angeles has always been a seedy place. Was this just a simple accident or were matters far more sinister being played out? My lunch with Rockstar’s L.A. Noire was just another typical day in the LAPD’s Traffic Division. Another day of seeing people at their worst all the while putting the bad guys in jail. You did know that there were still bad guys out there right? As the case progressed, the victim (the one laying in the street in the above picture) seemed like someone who had been bumped off as a matter of convenience. The convenience being a wife who wanted to hook up with another man. My lunch hour ended before I could solve the case. However, I did engage in a high speed pursuit with the driver of the Lincoln. I can only imagine the damage bill I racked up as I took out street lamps, side-swiped cars, and almost hit pedestrians. My partner, whats-his-name, was screaming at me over my driving. He apparently hasn’t lived in California too long. For my 30th birthday last week, I picked up L.A. Noire for the PS3. So far I am really enjoying the vibe and feel of doing detective work in the 1940’s. In fact, the other night I solved a case that involved a man trying to leave his wife and unite with his lover in Washington state. The man and a friend of his set up an elaborate plot that included: a slaughtered pig, a bloody car, and a faked death. Being the excellent gumshoe that I am, I was able to quickly link all the dots together and bust the perp. Arriving back at the station at the end of the case, the division chief congratulated my partner and I for a job well done. Well done indeed.